Which Hotel To Stay In Marbella – Budget VS Boutique? We have all been in the market for both budget and boutique style hotels depending on where, when and with whom we are travelling. A group of girls on a cheap getaway are usually looking for somewhere clean and cheap to get their head down after a hard days partying. On the other hand if you are travelling with your partner and are looking to impress then nothing less than a luxury boutique hotel with all the added extras will do. 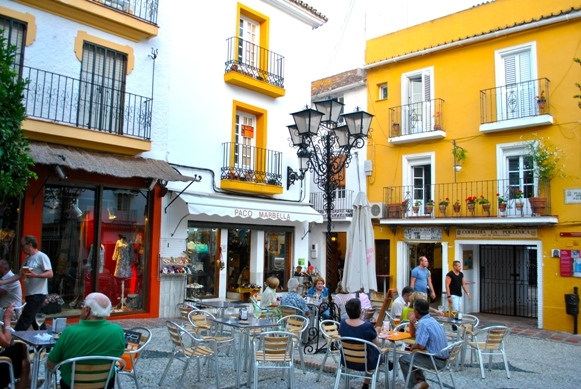 If you have ever been to Marbella but are yet to discover the old town (Casco Antiguo), then you haven’t yet experienced the more charming and traditional side of the Costa del Sol. Quite a few of the budget and boutique hotels listed below are in and around the old town so I will give you a little heads up on what to expect. 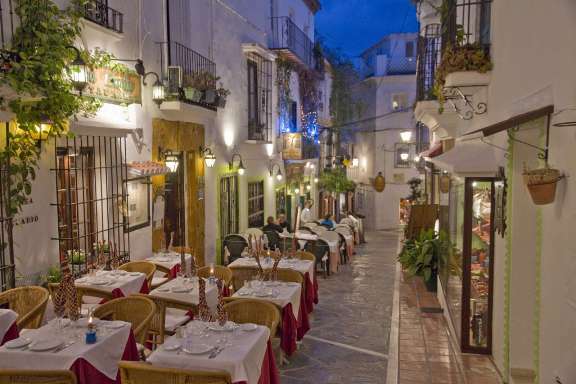 Hotels based here really are the perfect location for exploring the mazes of narrow cobbled streets amongst the traditional architecture of the old town as well as the rest of Marbella, you can stroll to the nearest beach in around 5 minutes. The old town is full of boutique style shops selling everything from designer clothes to hand-made gifts and there are some wonderful romantic and quaint little cafes and restaurants around every corner you turn. In the heart of the town is Orange Tree Square where you can enjoy a cold drink underneath the orange trees and watch the world go by. A tourist information office is in Orange Tree square as well as the beautiful old cathedral. It all seems a million miles away from the bustly promenade and beach just a few minutes’ walk away, great by day and even better at night when the restaurants and bars really come alive. However be careful to avoid the old town at siesta time as you may find nothing much is open. I don’t really want to call Casa la Concha a ‘Hotel’ even though that’s what it is. The main house previously a finca has been lovingly renovated and now has 4 beautiful suites as well as 6 separate cottages offering private accommodation each with a patio or garden. Beautifully decorated by the owner, interior designer Marie Helene in her tasteful French chic style, the attention to detail is flawless. The outdoor area with its perfectly blue salt water pool, swaying palm trees and sumptuous furniture has a very unique individual style, and is an absolutely perfect place to unwind. The Casa itself is located on Marbella’s famous Golden mile within a few minutes’ drive of /Marbella old town with everything it has to offer. The owner Helene is most accommodating and makes sure her guests feel at home and even a little pampered offering excellent advice on where to eat, drink or just have a stroll. 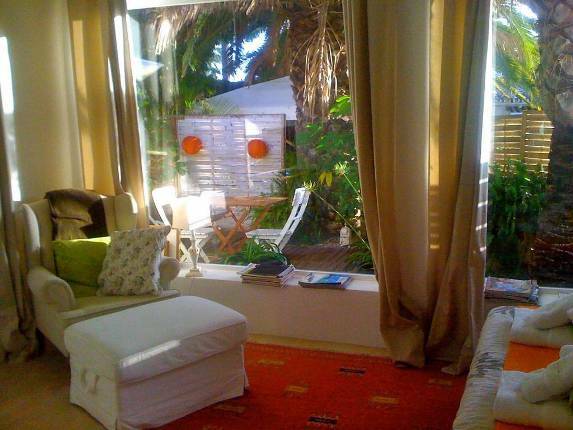 Free your mind at Casa La concha and take advantage of a private Pilates or yoga session or indulge in a massage from one of the top masseuse in the area in the privacy of your own suite or cottage. One of the great things about this hotel is the attention to detail; it might sound small but a tea and coffee set with kettle are included in every room, and while this is expected in most hotels in the UK, you will rarely find it in any hotel in Spain. A mini fridge, cutlery, glasses and plates, luxury organic toiletries, bathrobes and slippers (low and medium season) are all standard at Casa La Concha. 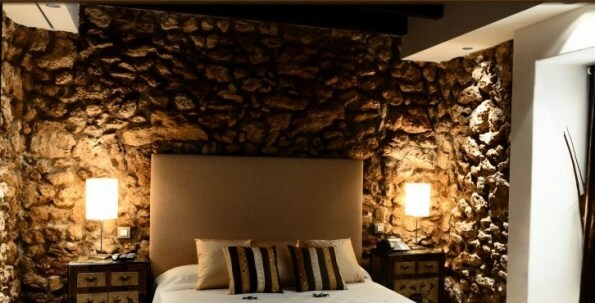 Included in your stay is breakfast and a welcome bottle of cava and at prices starting at just 115 Euros low season, this is a boutique hotel that will not break the bank. 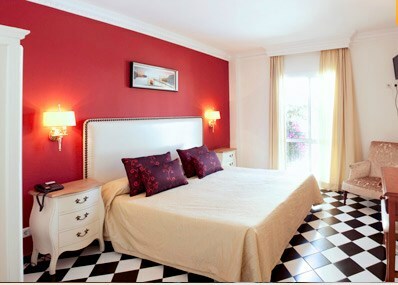 La Villa Marbella is voted number 1 of 77 boutique hotels in Marbella by Trip Advisor members. It is easy to see why when you consider that this 4 star hotel which is smack bang in the centre of Marbella’s charming old town, has been consistently praised for its excellent customer service and is considered ‘home from home’ by so many guests. Opening in 2004 with just 4 rooms the hotel over the last decade the hotel has acquired no less than 7 houses with 27 rooms and 2 duplex apartments, all just a few steps away from each other. 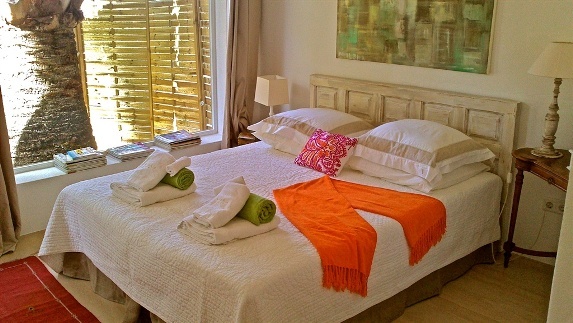 A few minutes’ walk from famous orange tree square and just 8 minutes walk to the beautiful beaches of Marbella. The hotel is perfectly located in pedestrian only streets meaning every room La Villa has to offer is a tranquil oasis of calm. 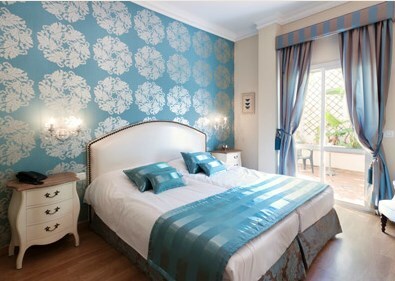 Each room individually decorated but all with the same high standard of luxury finishing’s and charming decor. Enjoy your breakfast on one of the roof top terraces with stunning views of the nearby mountains and old town. The people at La Villa really cater for every need offering romantic packages, airport transfer and a choice of breakfast based upon guests individual dietary needs and at prices from as little as around 90 Euros per night, low season, this hotel is a little bit of affordable luxury. 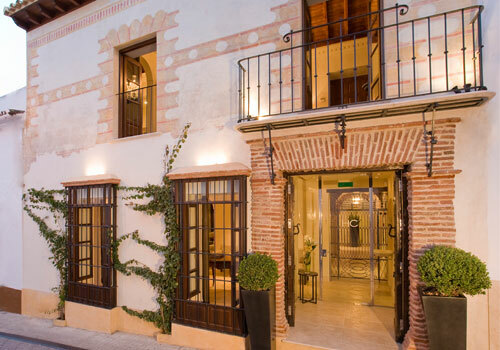 Located in the Old Town of Marbella just a few minutes walk from orange tree square, Hotel Claude is a small but extremely stylish luxury hotel dating back to the 17th century which was once an artist’s club. The town house has been tastefully restored retaining all of its stunning and original features to create a charming, rustic safe haven amongst the throng of the old town. The 3 star hotel features 7 individually designed rooms offering guests the highest quality fabrics and furnishings with beautiful sandstone baths and chaise longes to create a cosy but luxury feel. IPod docking stations feature in every room and the public areas are so sumptuous you won’t want to leave. Hotel Claude offer guests the opportunity to enjoy a candlelit dinner on the terrace during the warmer months, tapas is also available and breakfast is included. The hotel is a wonderful setting for an event and they provide special rates for exclusive use of the hotel with tailor made menus available for any type of event. 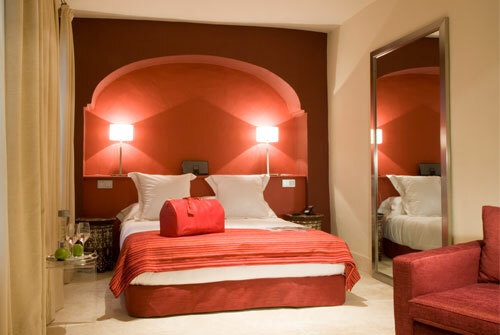 With room rates starting from 280 Euros per night, Hotel Claude is slightly pricier than others but they do pride themselves on offering a unique experience in the heart of Marbella’s old town. 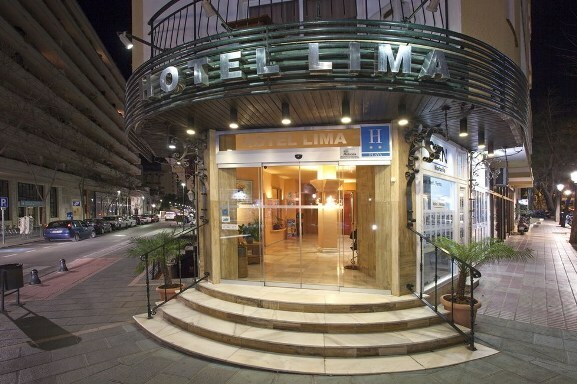 If it’s location you’re after, you cannot beat the Hotel Lima, it is literally 150 metres from the beach and Marbella port and about the same distance to the old town in the opposite direction. 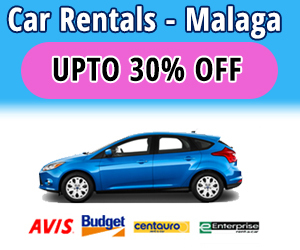 You will definitely not need a car when staying at this 7 storey hotel as the main high street which runs through Marbella and all its shops are also within a few minutes’ walk. The hotel is as you would expect from a budget hotel, no frills, the rooms are minimal but clean and all have a private bathroom, safety deposit box, WIFI available at a small supplement, hot and cold air con is also available. Breakfast buffet at Hotel Lima is a decent standard but if you use this as a base for exploring the many clubs and bars you may not get up in time to sample it! The only thing to be aware of is as the hotel is in a built up location, some guests have said it can get a little noisy at times with traffic and clubbers coming home during the small hours, otherwise for the price starting roughly at 50 Euros per night for this 2 star accommodation, you would find it hard to pick fault. At prices from just 28 Euros per night in low season, hostel Berlin is a must for the budget traveler and while the prices are extremely low, the service and cleanliness of this hotel are most certainly not. 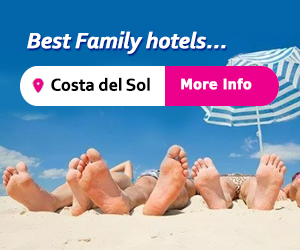 Praised for the customer service this family run hostel offers, and not forgetting the perfect location just 100 metres from the old town and the beaches of Marbella. 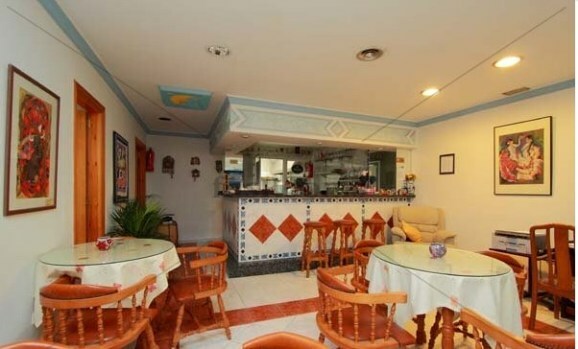 Rooms include private bathroom, hot and cold air con and free WIFI, they are comfortably decorated and there is also a small cafe/bar for guest use in the hotel too. You will find only positive reviews from past guests staying at Hostel Berlin, for price and location it cannot be beaten. 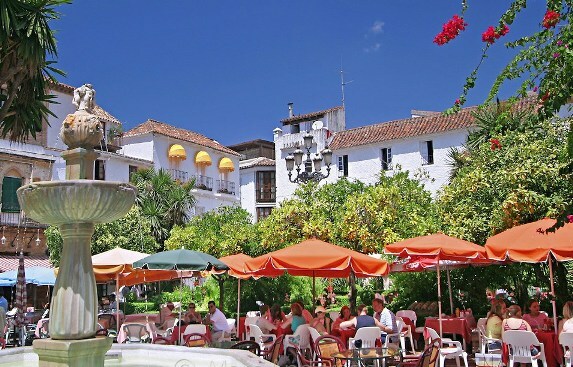 Great little hotel in the centre of Old Town Marbella within easy walking of the main beaches, shopping and Marbella port. 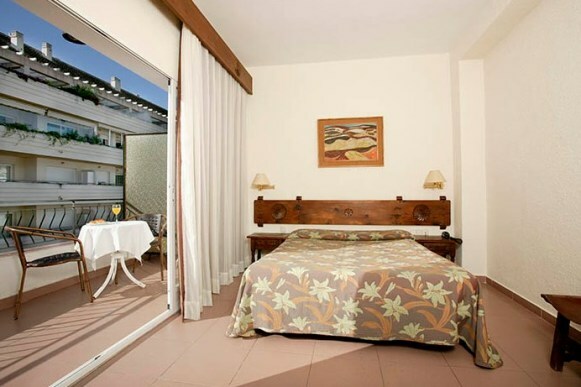 All rooms have private bathroom, air-con a TV and free WIFI, breakfast is available at an extra 5 Euros pp. The rooms at Hotel Central are far superior to what you might expect from 2 star hotel, even the ‘budget’ rooms are clean, modern and very comfortable. Staff go out of their way to help and make your stay enjoyable, and the fantastic location means you can walk to any of the main shopping areas or take a short stroll to find a huge choice of bars and restaurants…even in heels. Independent reviews from verified guests means you get an accurate and up-to-date picture of what you can expect from our cheap hotels in Marbella.